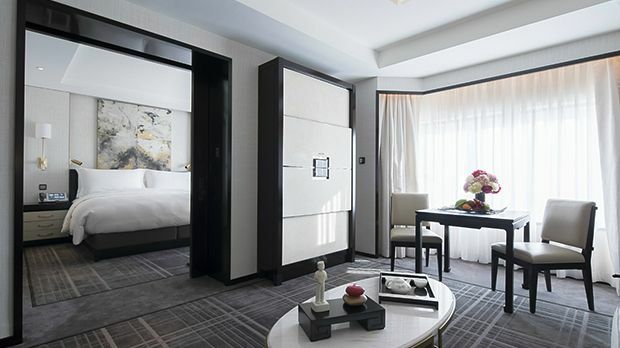 The Peninsula Beijing is in the very center of Beijing, within walking distance of the Forbidden City and Tiananmen Square. The hotel is 18 miles from Beijing International Airport and 1.5 miles from the Beijing Railway Station. 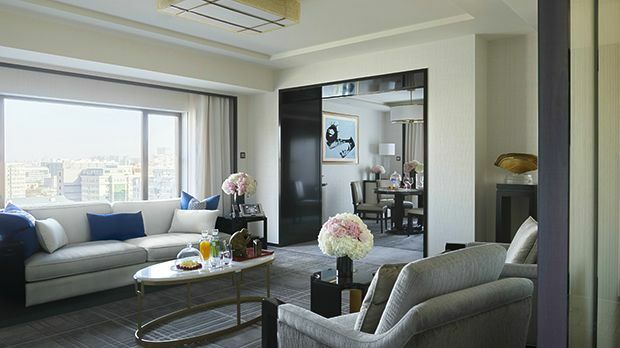 The Peninsula Beijing has firmly embraced "Modern meets Asian." Mixing traditional with familiar is just one of the ways that the resort welcomes you to a city at the forefront of global travel. The Peninsula Beijing has been one of Beijing's premier hotels since 1989, 20 years before the Olympics brought the city to the spotlight. 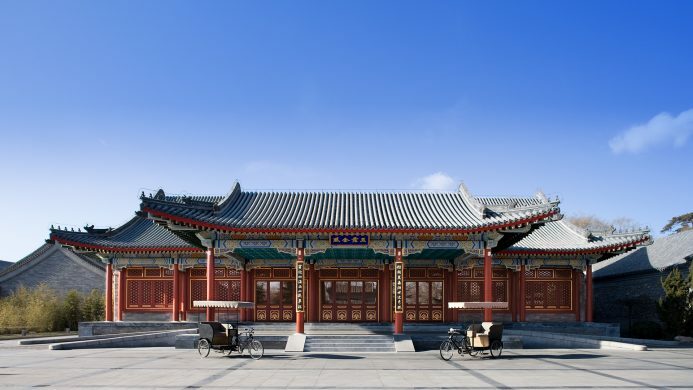 The traditional Chinese exterior blends in perfectly with its neighbor, The Forbidden City. But, step inside and you'll see that this is truly a modern, luxurious hotel. 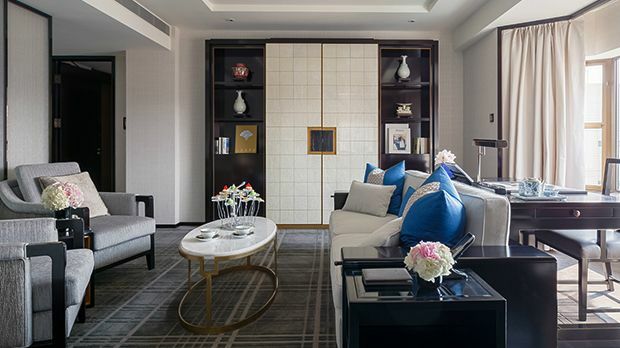 The 230 signature suites casually blend elegant furnishings and modern technology with a dash of Chinese influences. The hotel's two restaurants continue the experience by introducing your palette to true local cuisine. Guests can enjoy the Peninsula Classic Afternoon Tea and the refined international dining at The Lobby restaurant. Jing features traditional Cantonese cooking while Huang Ting serves up international and pan-Asian dishes. 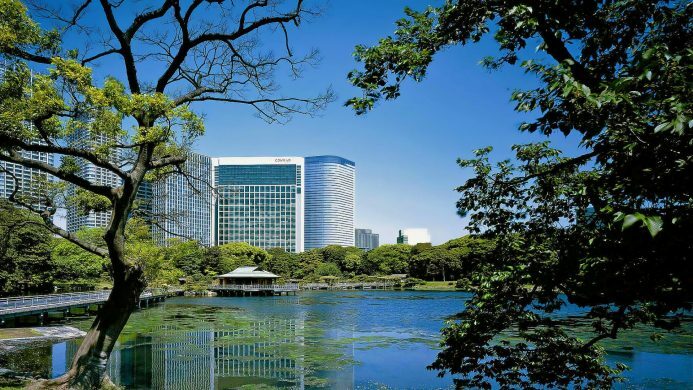 The hotel offers guides to help you discover the city, even one designed by the hotel staff. When you need a break from the bustling city, retreat to the Fitness Center, heated pool, steam rooms, or spa. 50 exclusive designer boutiques are featured in The Peninsula Arcade - the most prestigious shopping arcade in Beijing. 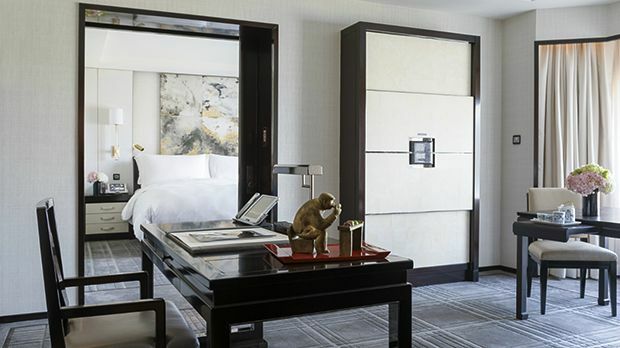 Send an availability request with your requested dates to the The Peninsula Beijing. 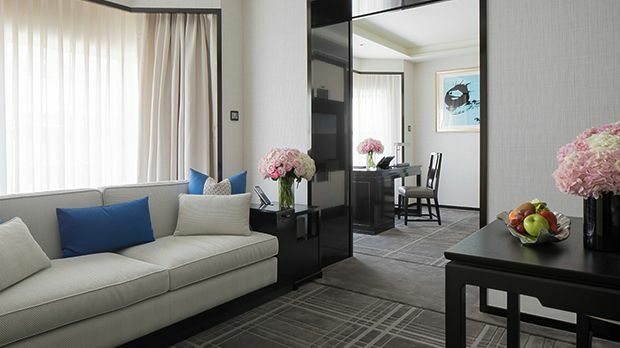 Superior suites are designed with classic earth tones and subtle chinese-accented décor. Each of these suites has ample space between the separate living room, bedroom, bathroom and dressing room to allow guests to spread out and unwind after a long day. A large window fills the suite with natural light and a sense of space. Advanced in-room technology and elegant furniture ensures a more comfortable and convenient stay, including complimentary high-speed cabled and wireless internet access plus complimentary voip international calls to keep you connected. A separate work area features a large desk with an integrated multi-device docking station in the desk that allows you to display your own media on the television plus an all-in-one copier / printer / fax / scanner. The en-suite valet box is the silent provider of all our valet services, ensuring that your privacy is respected. Luxurious and spacious marble bathrooms are equipped with a separate shower cabin and a jacuzzi bathtub with a built-in tv as well as a wc separate from the washroom. Bedding includes a sumptuous king-size bed with duvet and luxury linens. Suite features also include a spacious separate sitting area and a walk-in closet - a premium stereo system, a well-stocked mini-bar, a notebook %-size personal safe, a widescreen plasma tv and dvd player, an ipod dock and a fruit basket. No connecting rooms are available for this suite type. 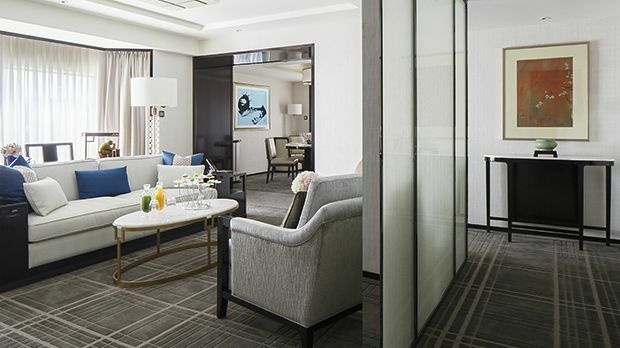 Superior suites are designed with classic earth tones and subtle chinese-accented décor. Each of these suites has ample space between the separate living room, bedroom, bathroom and dressing room to allow guests to spread out and unwind after a long day. A large window fills the suite with natural light and a sense of space. Advanced in-room technology and elegant furniture ensures a more comfortable and convenient stay, including complimentary high-speed cabled and wireless internet access plus complimentary voip international calls to keep you connected. A separate work area features a large desk with an integrated multi-device docking station in the desk that allows you to display your own media on the television plus an all-in-one copier / printer / fax / scanner. The en-suite valet box is the silent provider of all our valet services, ensuring that your privacy is respected. Luxurious and spacious marble bathrooms are equipped with a separate shower cabin and a jacuzzi bathtub with a built-in tv as well as a wc separate from the washroom. Bedding includes two sumptuous twin-size beds with duvets and luxury linens. Suite features also include a spacious separate sitting area and a walk-in closet - a premium stereo system, a well-stocked mini-bar, a notebook %-size personal safe, a widescreen plasma tv and dvd player, an ipod dock and a fruit basket. Some of these suites can connect to a premier suite. Deluxe suites have a luxurious suite feel, providing plenty of space to relax after a long day. Advanced en-suite technology includes high-speed cabled and wireless internet access and complimentary voip international calls. Suites include a separate work area with a large window that fills the suite with natural light and a sense of space. An integrated docking station in the desk allows you to display your own media on the television. Streamlined furnishings reflect traditional chinese artistry with a contemporary twist. Views feature the beautiful nighttime city lights of wangfujing or the peacefulness of the courtyard. Bedding includes a sumptuous king-size bed with duvet and luxury linens. All of these suites include an all-in-one copier / printer / fax / scanner and an en-suite valet box - the silent provider of all our valet services - ensuring that your privacy is respected. Luxurious and spacious marble bathrooms are equipped with a separate shower cabin and a jacuzzi bathtub with a built-in tv as well as a wc separate from the washroom. Suite features also include a spacious separate sitting area and a walk-in closet. Amenities include a premium stereo system - a well-stocked mini-bar - a notebook %-size personal safe - a widescreen plasma tv and dvd player - an ipod dock and a fruit basket. Some of these suites can connect to a deluxe accessible suite. Deluxe suites have a luxurious feel, providing plenty of space to relax after a long day. Advanced en-suite technology includes high-speed cabled and wireless internet access and complimentary voip international calls. Suites include a separate work area with a large window that fills the suite with natural light and a sense of space. An integrated docking station in the desk allows you to display your own media on the television. Streamlined furnishings reflect traditional chinese artistry with a contemporary twist. Views feature the beautiful nighttime city lights of wangfujing or the peacefulness of the courtyard. Bedding includes two sumptuous twin-size beds with duvets and luxury linens. All of these suites include an all-in-one copier / printer / fax / scanner and an en-suite valet box - the silent provider of all our valet services - ensuring that your privacy is respected. Luxurious and spacious marble bathrooms are equipped with a separate shower cabin and a jacuzzi bathtub with a built-in tv as well as a wc separate from the washroom. Suite features also include a spacious separate sitting area and a walk-in closet. Amenities include a premium stereo system - a well-stocked mini-bar - a notebook %-size personal safe - a widescreen plasma tv and dvd player - an ipod dock and a fruit basket. No connecting rooms are available for this suite type. 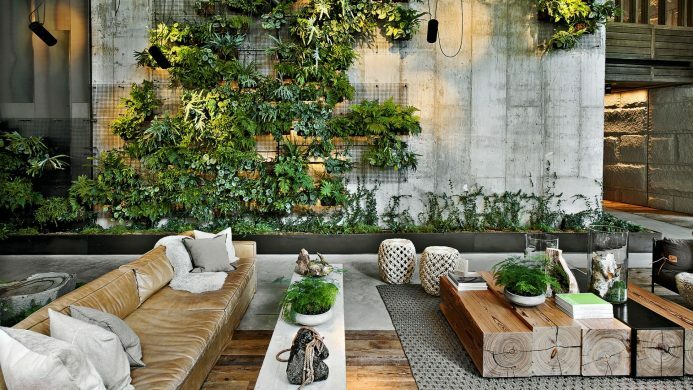 Spanning two stories, duplex suites offer the space and feel of a fashionable private urban apartment. These suites feature large floor-to-ceiling windows across both floors so that natural light bathes every inch of the suite. The living area is separate from the bedroom making entertaining easy. Views are of the city or the tranquil courtyard. Advanced en-suite technology and elegant furniture ensures a more comfortable and convenient stay - including complimentary high-speed cabled and wireless internet access plus complimentary voip international calls to keep you connected. The large desk with an integrated multi-device docking station is connected to the tv and also features an all-in-one copier / printer / fax / scanner. The en-suite valet box is the silent provider of all our valet services, ensuring that your privacy is respected. Luxurious and spacious marble bathrooms are equipped with a separate shower cabin and a jacuzzi bathtub with a built-in tv as well as a wc separate from the washroom. Bedding includes a sumptuous king-size bed with duvet and luxury linens. Suite features also include a spacious separate sitting area and a walk-in closet. Amenities include a premium stereo system, a well-stocked mini-bar, a notebook %-size personal safe, a widescreen plasma tv and dvd player, an ipod dock and a fruit basket. No connecting rooms are available for this suite type. Premier suites are elegantly designed with classic earth tones imbuing each suite with a relaxing and comfortable ambience. The streamlined furnishings reflect traditional chinese artistry with a contemporary twist. Views feature the beautiful nighttime city lights of wangfujing or the peacefulness of the courtyard. Bedding includes a sumptuous king-size bed with duvet and luxury linens. Some of these suites are equipped with a sofa bed - available on a request basis. A rollaway bed is available for suites without a sofa bed. Advanced en-suite technology ensures a more productive and convenient stay - including complimentary high-speed cabled and wireless internet access plus complimentary voip international calls to keep you connected. The suites impressive entertainment system offers superb sound quality. Connected via a smartphone dock or bluetooth - the wireless music streaming service and tv channels can be experienced through a sound bar providing exceptional surround sound. Big-screen viewing of videos - music and photos stored on a smartphone is made easy with a customized memory card and usb that connects each mobile device to the tv screen. Each suite offers a large desk with an integrated multi-device docking station connected to the tv plus an all-in-one copier / printer / fax / scanner. The en-suite valet box is the silent provider of all our valet services - ensuring that your privacy is respected. Luxurious and spacious marble bathrooms are equipped with a separate shower cabin and a jacuzzi bathtub with a built-in tv as well as a wc separate from the washroom. Suite features also include a spacious separate sitting area and a walk-in closet. Amenities include a premium stereo system - a well-stocked mini-bar - a notebook %-size personal safe - a widescreen plasma tv and dvd player - an ipod dock and a fruit basket. 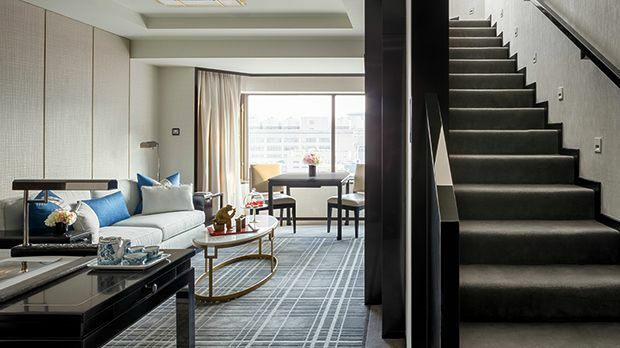 Some of these suites can connect to another premier suite or a wangfujing suite. Grand premier suites offer one of the best locations in the building with views facing our peaceful courtyard or the bustling city. Bedding includes a sumptuous king bed plus a sofa bed. An extra bed is also possible on request. Some offer a connecting option - making them ideal for families. Double entrances allow for extra privacy and convenience. Suite features also include a separate guest powder room - a dining table - walk-in closet with vanity area - plus a room control panel in 11 different languages. A spa mode grand marble bathroom features a separate shower and a bathtub with built-in television - dual wash basins plus oscar de la renta bath amenities. Suite amenities include an all-in-one fax-copier-printer-scanner - an executive desk with multimedia docking station - complimentary voip long distance calling - a valet box - complimentary high-speed cabled and wireless internet access - bedside charging cables - a notebook % size safe - coffee and tea making facilities and a well-stocked mini-bar. Entertainment options include a bowers and wilkins sound system - widescreen plasma tv - cd and dvd players and complimentary blockbuster movies through video on demand. All suites are non-smoking only. Some of these suites can connect to a deluxe suite. Grand premier suites offer one of the best locations in the building with views facing our peaceful courtyard or the bustling city. Bedding includes two sumptuous twin beds plus a sofa bed. An extra bed is also possible on request. Some offer a connecting option - making them ideal for families. Double entrances allow for extra privacy and convenience. Suite features also include a separate guest powder room - a dining table - walk-in closet with vanity area - plus a room control panel in 11 different languages. A spa mode grand marble bathroom features a separate shower and a bathtub with built-in television - dual wash basins plus oscar de la renta bath amenities. Suite amenities include an all-in-one fax-copier-printer-scanner - an executive desk with multimedia docking station - complimentary voip long distance calling - a valet box - complimentary high-speed cabled and wireless internet access - bedside charging cables - a notebook % size safe - coffee and tea making facilities and a well-stocked mini-bar. Entertainment options include a bowers and wilkins sound system - widescreen plasma tv - cd and dvd players and complimentary blockbuster movies through video on demand. All suites are non-smoking only. Some of these suites can connect to a deluxe suite. Wangfujing suites overlooking the hotels quiet rear garden - offer a respite from the hustle and bustle of beijing. 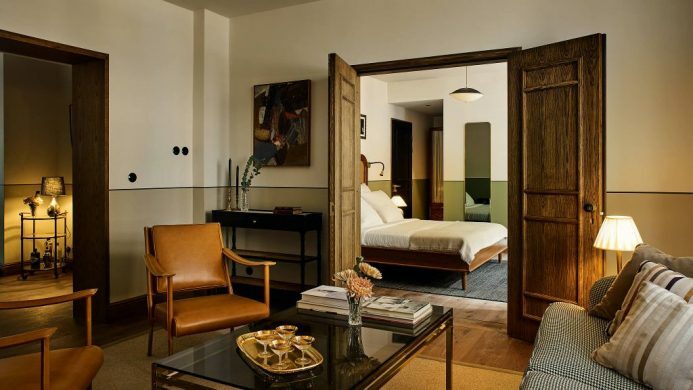 These suites feature a spacious living area with a dining table that seats four persons - and are ideal for families as some are equipped with a sofa bed and some can connect to a superior suite. An extra bed is also possible on request. Bedding includes a sumptuous king-size bed with duvet and luxury linens. Advanced en-suite technology ensures a more productive and convenient stay - including complimentary high-speed cabled and wireless internet access plus complimentary voip international calls to keep you connected. Wangfujing suites offer a large desk with an integrated multi-device docking station connected to the tv plus an all-in-one copier / printer / fax / scanner. The en-suite valet box is the silent provider of all our valet services - ensuring that your privacy is respected. Luxurious and spacious marble bathrooms are equipped with a separate shower cabin and a jacuzzi bathtub with a built-in tv as well as a wc separate from the washroom. Suite features also include a spacious separate sitting area and a walk-in closet. Suite amenities include a premium stereo system - a well-stocked mini-bar, a notebook %-size personal safe - a widescreen plasma tv and dvd player - an ipod dock and a fruit basket. Some of these suites can connect to a superior suite. Features a king bed and sofa bed in the living room, high-speed WiFi, integrated multi-device docking station, in-room valet service, marble bathrooms equipped with a separate shower and a jacuzzi bathtub with a built-in TV, premium stereo, minibar, PC-sized personal safe, iPod dock and fruit basket.